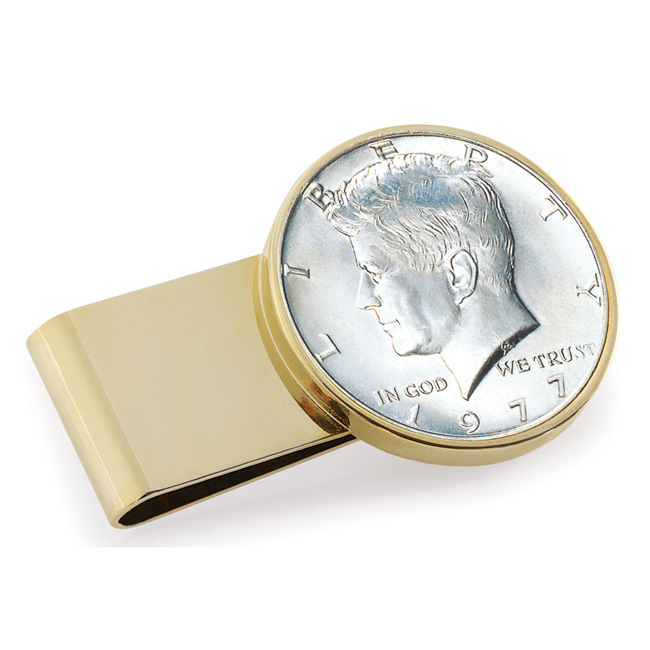 Coin collectors, history buffs, and patriotic Americans will love this money clip that features the face of the JFK half dollar! It's 24 karat gold-plated metal, contrasted by a mounted authentic silver JFK half dollar. 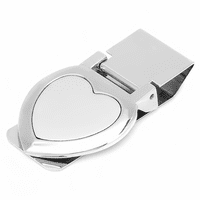 The gold-plated clip can be engraved with an initial, monogram or name, free of charge. The money clip will be packaged in a gift box, and includes a Certificate of Authenticity. 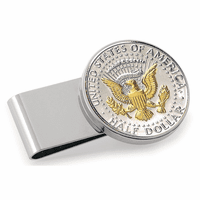 Your favorite guy will love showing off this distinctive money clip whenever he takes out his cash! 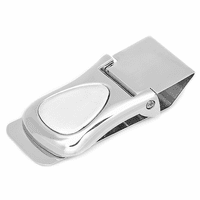 Dimensions: 2 1/16" x 1 1/4" x 1/8"
Can I purchase a money clip with a 1962 date? Sorry, we're not able to guarantee exact dates on the coins. What is the design on the face of a1962 half dollar? It is the face of John F Kennedy. Was very happy with my purchase for my son-in-law. It lived up to the picture and description. Will definitely use this vendor again.